Creating a strong social media presence is the perfect way to build your company’s reputation and showcase your work. So let’s leave it to the social media experts. The beauty of social media is the immediate and constant interaction it allows you to develop with your customers. Here at Shine By Design, we understand how important the customer is and so we can help you on your way to a beautiful relationship. It’s no secret that we’re a sociable species (for the most part! ), and people enjoy being part of a community. Social media can help your business to build that community, and our experts will increase customer engagement too. You compete for customers with thousands of other businesses. 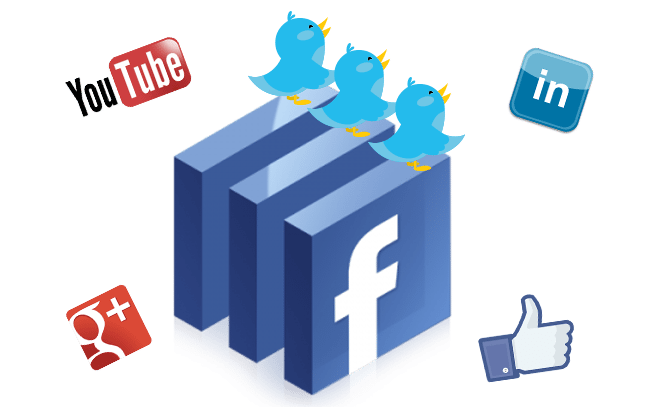 Social media gives you an extra platform to promote your business, and you’d be a fool to miss out on lead generation and new customer conversions. The more open and transparent you are with your customers, the more likely they are to purchase from you. Social media is a great way to gauge client feedback and focus on meeting their needs and improving your product. Using social media we will expertly increase customer engagement and create customer profiles to improve your current marketing strategy. We will develop your brand and business through social media interactions, and ensure you are always up to date with key monthly reports. Our social media gurus are at your disposal to care for and develop your social media while you focus on other aspects of your business. Recommendations through social media are an easy way for customers to endorse you and your business. Every like, review and post referencing your product or service increases your online visibility to search engines. We offer different services to help your company succeed and reach its full potential.